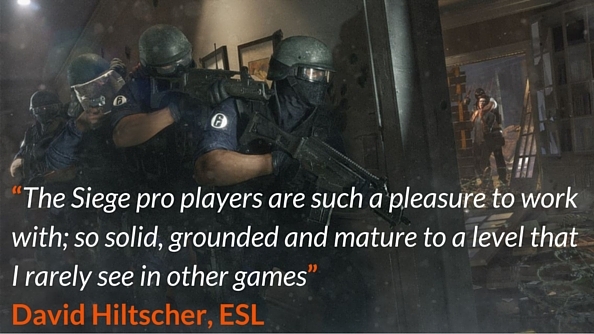 From the moment it was conceived, Rainbow Six Siege was always aiming to be a competitive eSport. That ambition is in its very mechanics. But being a multiplayer game is not enough to assure success in the digital sports arena. Training up to be the best player? The best FPS games on PC are your own personal digital gym. During a trip to Cologne to see behind the scenes of Rainbow’s Pro League, we discussed the creation, players, and growth of Siege with Ubisoft’s Alexandre Remy and ESL’s David Hiltscher, in hope of discovering the secrets behind making an eSports success story. The first necessity for having a great pro scene isn’t much of a secret: you need a good game. 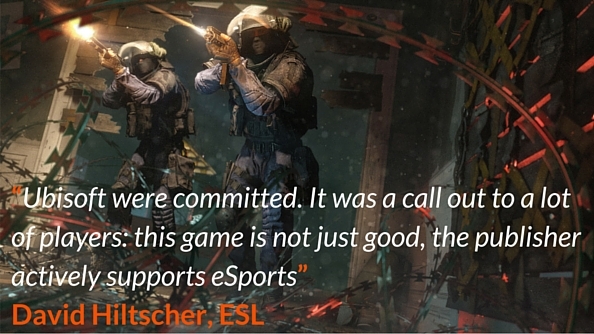 Aiming for eSport standards is what made Siege as good as it is, claims Ubisoft’s Rainbow Six brand director Alexandre Remy. “One of the aspects that we all agree on is when you do aim for a competitive game, it brings a level of discipline in the design mechanics and the tech that ensure that you have a game that’s as solid as possible in its foundations,” he explains. Siege started its Pro League early, just one month after launch. 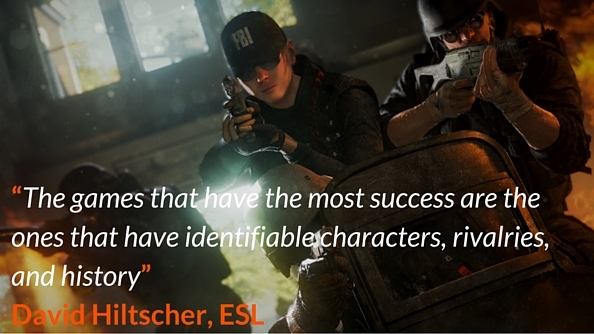 It was an accelerated transition that Ubisoft baked into their game by deciding to collaborate with a major eSports organisation during development, rather than afterwards. The organisation in question was ESL. “We were able to give a lot of feedback on the spectating and casting tools. There’s been quite a few changes to the servers that were made after our feedback. For example: the ability to play custom matches on dedicated servers. 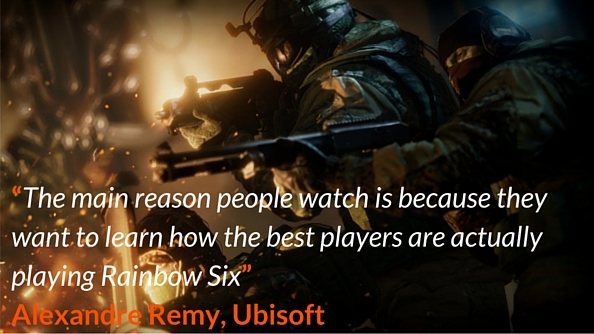 That was the big thing for us that Ubisoft weren’t really aware of,” he reveals. Getting your game out the gate and a league set up is only the start, though. 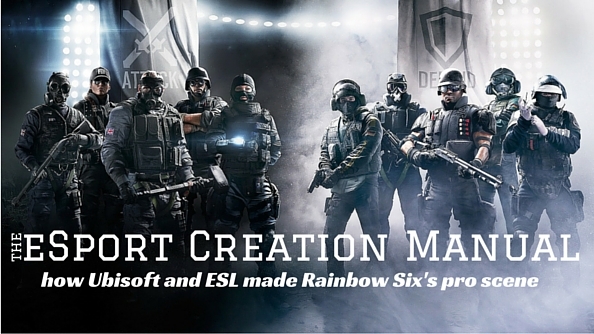 For Rainbow Six Siege to survive as an eSport, it needs to remain popular as a game. Ubisoft have a very keen eye when it comes to their player graphs. “There’s no day or week that doesn’t pass by where we’re not looking at the numbers. If there’s a dip you’re like ‘Oh my god, is that the beginning of the end?’” laughs Remy. For as long as the Rainbow community remains active, they’ll want to know how to get better. 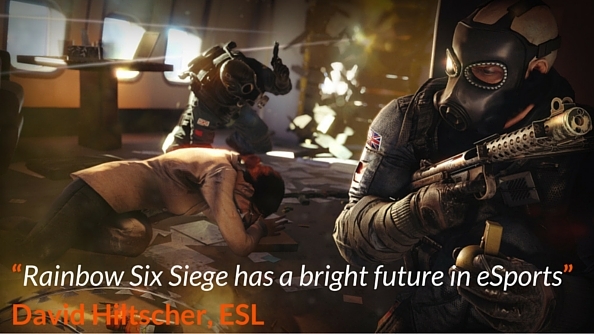 The two sides of Siege fit neatly together, like a explosive jigsaw puzzle pieces. 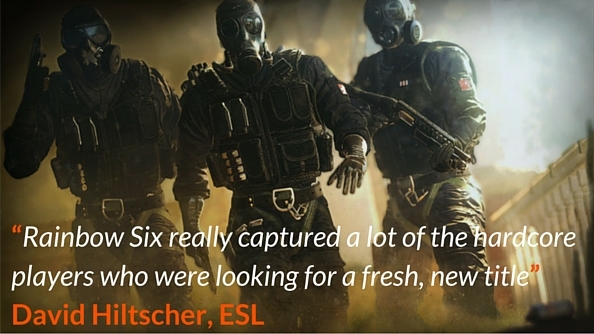 Having a pro scene made of older players has been a massive boon to both Ubisoft and ESL. “We’re often doing workshops and feedback with the pros and having a little bit more mature player gives us very articulated and educated feedback, so it’s for us a benefit,” says Remy. With the first two seasons of Siege’s Pro League having been successful, the focus now clearly needs to be growth. You don’t become Counter-Strike or League of Legends without trying. Hiltscher warns that the road may not be smooth, though. Potentially the characters who will define the Siege pro scene have yet to emerge from their homes. Indeed, the next big star could even be you. “The game is in its early stages. 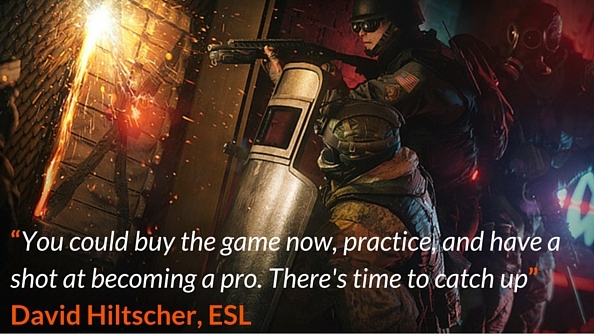 You could buy the game now, practice, and have a shot at becoming a pro. It’s not like these guys have been playing for ten years, they’ve been playing for six months. There’s time to catch up,” claims an enthusiastic Hiltscher.